There are four elements of The Toastmasters Mentoring Program in Pathways. In Level 2 all members complete the "Introduction to Pathways Mentoring" project. After completing Level 2, all members receive an optional curriculum "Pathways Mentor Program" which contains three sections: Prepare to Mentor, Mentoring, and Advanced Mentoring. This project focuses on helping you clarify your personal goals and interests as they relate to mentoring others. Purpose: The purpose of this project is to spend time learning about your goals, your interest in being a mentor, and your readiness to begin working with a protégé. Overview: Complete the self-evaluation resources included in this project. When you are ready, have a discussion with your vice president education about being a Toastmasters mentor. Submit the Project Completion Form to your vice president education to verify that you completed all forms included in this project. This project focuses on facilitating a short-term mentoring assignment to help you build your skills as a mentor. Purpose: The purpose of this project is to apply your mentoring skills to a short-term mentoring assignment. Overview: Work with a protégé to complete a project. Your vice president education will help match you with a fellow Toastmaster who is interested in working with a mentor for a single project. Assist the protégé in setting goals and developing a plan for completing his or her project. Use the forms included in this project to set goals, plan, and give and receive feedback. 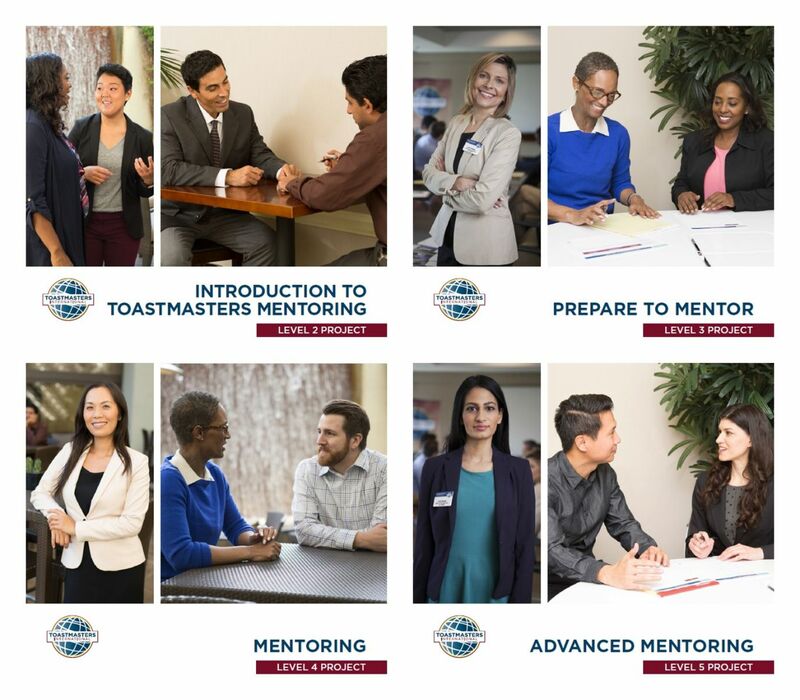 After your mentorship, deliver a 5- to 7-minute speech at a club meeting about your first experience as a Toastmasters mentor and what you learned from it. This project is designed to support you as you accomplish a six-month term as a mentor. Purpose: The purpose of this project is to apply mentoring skills during a long-term mentoring commitment. Overview: Fulfill the role of mentor for a fellow Toastmaster or other person for a period of six months. Communicate regularly with your protégé, record meeting dates and times, and give and receive feedback both verbally and in writing. At the end of your commitment, present a 5- to 7-minute speech to your club about what you gained as a mentor. This speech is about you and your experience.